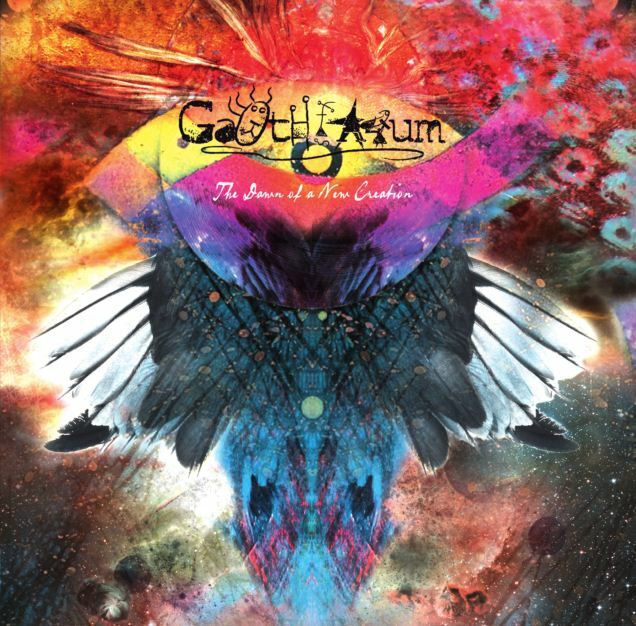 Spanish project GARTH ARUM re-emerges through time with its debut album, marking the dawn of a new passion, of a new fire. ‘The Dawn of New Creation’ is ispired by dreams and emotions, venturing further into the depths of the human psyche. A demiurge that leads the path to a new universe, beyond the notion of existence. This is the album of a lifetime, a deliverance of body and soul of the album’s creator Nightmarer, which is finally complete more than ten years after its initial conception. The songs were highly influenced by the music which bloomed in the 90s, be it new age, atmospheric black metal, avant-garde, death metal or even symphonic rock but with a sorrowful, dark, doomy atmosphere that matches every one of its themes thoroughly. The beautiful harp-introduced opener entitled ‘A New Creation’ unfolds the album like (fire) flowers that blossom, letting its oneiric, fairy tale-like nature take us deeper into the album’s true, multi-dimentional character. It is very clear that the material presented in this album is dense and conceptual to a great extent, but executed with openness and purity of vision. ‘Shadows of the Past’ begins with a beautiful piano section only to be interrupted by Nightmarer’s menacing growl that signals the outburst of the guitar riffs, spanning into a musical manifold where bright and dark are so genuinely mixed together with tools varying from black metal to doom and progressive. The music is highly technical with enchanting melodies and frequent classical piano interludes that make the sections that follow after even more intense and impetuous as well as providing breathing space in order to make the listener digest the quantity of information the album contains, musically. The ferocious ‘A Barrage of Hate’ continues in the same pace, but even faster and more vigorous than before, although some hints of doom can be spotted in the end of the song. The lyrics are in perfect tie with the music and the vocals, portaying the state of betrayal in the most hateful of ways. As we proceed further into the album we come across, yet another different element in GARTH ARUM’s music. Songs like ‘The Path to Oblivion’ or ‘Trip (Part I)’ feature almost only female vocals or even electronic segments, exploring a deeper, softer side of the band while the music being still technical and varied. While listening to ‘The Dawn of a New Creation’ one can’t help but notice how much attention has been put to its every little detail. The overall sound is always filled with ambience, but the melodious lead guitar or piano passages, as well as the fast-paced soloing enhance the songs to a great degree. As far as the vocals are concerned , they are yet another ingredient that lifts the album to a whole new level. Nightmarer’s skills and creative vocal lines shift between clean singing and black metal shrieking with ease but to me it is the harmonious choral parts that can really stand out even without the presence of music, presenting an etherial and enchanting atmosphere that can lift you off your feet. ‘Labyrinth of Lies’ and ‘Lucid Dreams’, which stand amongst the best tracks on the album are a great example of the above where all the aforementioned elements are so efficiently mixed together. This source of creation is also strengthened by a collaboration owith four more individuals in Slo (SMOHALLA), Camille Giraudeau(STAGNANT WATERS, SMOHALLA), Lady Carrot and Cecilia (ON3IRIC4) who gladly offered their own, distinctive colous into this uneven musical palette. The multiple layers of tracks that are going on at the same time do not affect the album the slightest bit as ‘The Dawn of a New Creation’ features good composition in total but with an improved production this album could have been even better. All in all, ‘ The Dawn of a New Creation’ is nothing but a deep voyage into the universe, into innocence and unreality. A hybrid of disparate styles that may seldom be an easy pill to swallow due to the fact that it is a really personal album and its music style which may not relate to any specific band. It is however, a particular view of music through the eyes and heart of its creators, a project that took ten years to finalise itself and one should really keep that in mind before starting to experience it. Are you ready to take up the challenge?